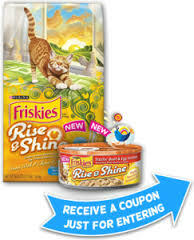 Get a free can of Friskies Rise & Shine Cat Food. Like the Facebook page then register. You will have to submit a photograph of you cat.